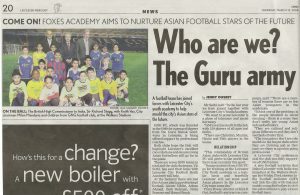 A football team has joined forces with Leicester City’s youth Academy to help mould the city’s Asian stars of the future. GNG FC which was founded in the 1960’s by a group of players form the Guru Nanak Gurdwara in Leicester, is being offered support by professional coaches. Both clubs hope the link will highlight Leicester’s excellent race relations and ensure young Asian footballers will go far in the game. 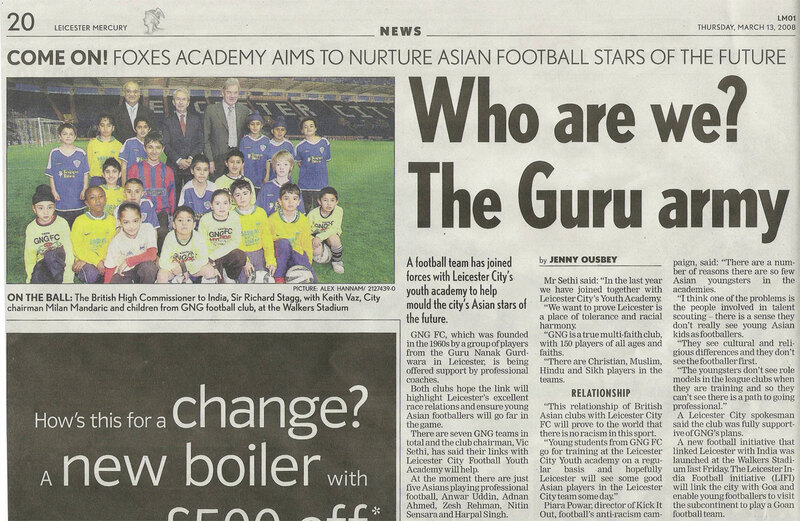 There are 7 GNG football teams in total and the club chairman, Vic Sethi, has said their links with Leicester City Football Youth Academy will help.